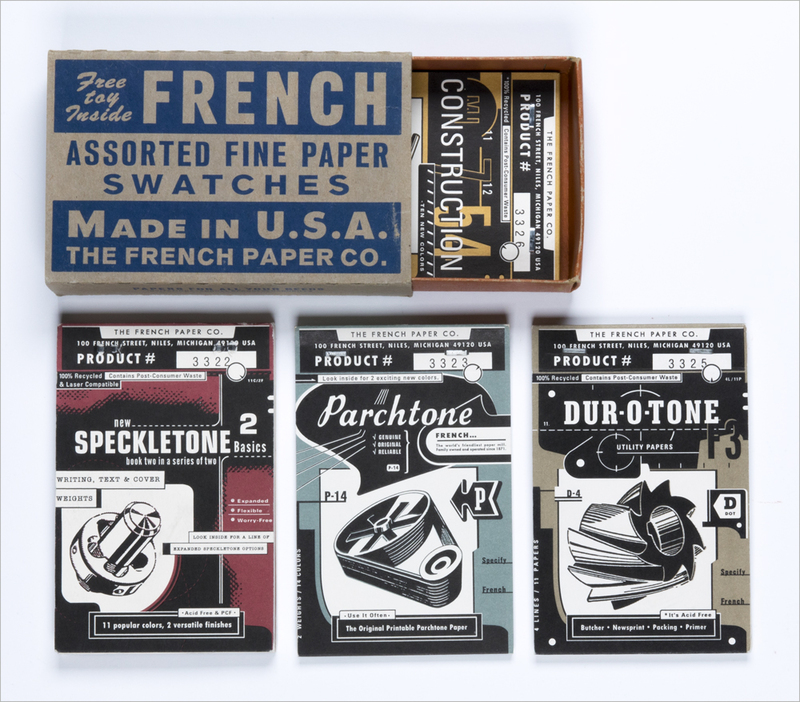 4 swatchbooks: Parchtone, Speckletone, Dur-O-Tone, and Construction papers, and box. Techniques Offset printing, 2 spot colors each book. Covers: embossed, scored, folded. Side stitched.